Unlucky Kaizer Chiefs midfielder Willard Katsande was denied by the woodwork on two occasions in his team’s 1-0 win over SuperSport United in the quarterfinals of the Telkom Knockout on Sunday. Katsande first hit the post in the 16th minute when he latched onto a loose ball in the centre of the box. 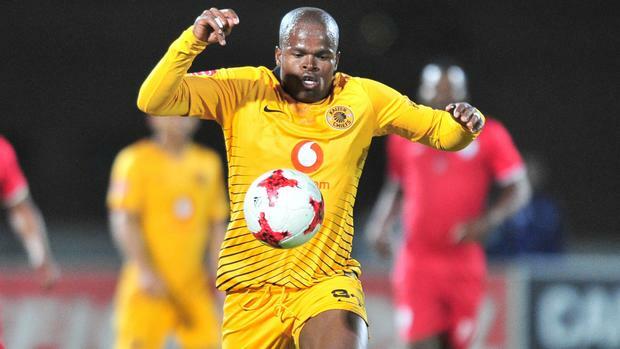 Chiefs then got a penalty eight minutes before the break, but again the Zimbabwe international could not capitalise as his spot-kick came off the crossbar. Team-mate, Khama Billiat took part in the encounter but was subbed off in the 88th minute. On the other hand, United coach Kaitano Tembo had hoped to progress to the next round of the cup on the way to secure his first silverware as head coach, but his charges failed to win the tie. Striker Evans Rusike featured for the first time since 29 September, playing the last 45 minutes of the game. The 28-year-old had suffered an ankle injury during the final of the MTN8 Cup which also saw him missing the Warriors’ games against DRC. Full-back Onismor Bhasera was not part of the squad. Orlando Pirates utility player Marshall Munetsi made another start, playing as one of the three centre-backs in his team’s 3-1 win over AmaZulu. Kuda Mahachi was not part of the team while Usuthu’s Butholezwe Ncube came on as a substitute. Ovidy Karuru did not play in the encounter. Elsewhere, Baroka duo of goalkeeper Elvis Chipezeze and winger Talent Chawapiwa also featured over the weekend together with Bidvest Wits forward Terrence Dzvukamanja.